Play a festive family game after the Thanksgiving feast. | Image courtesy Pixabay user jill111. While the grownups were taking their post-Thanksgiving naps, we decided to get that last slice of pie we assumed was off-limits. But when we woke my dad, he gladly served us another piece. It was a rare moment when the grownups and kids interacted after the big meal, and it didn’t stop there. After the pie, we played checkers, went for a walk, then watched a movie. And thus, a new tradition was born. Every year after that, instead of retreating for an afternoon nap, the grown-ups and kids gathered together to play games after the feast. While Christmas was always filled with fun and games, on Thanksgiving, we’d settled into a routine of waking up early, cooking and cleaning, eating, and then going our separate ways. 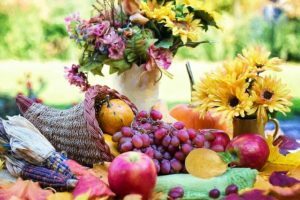 Now, my family makes sure the day is filled with familial activities, especially since the loved ones who join us for Thanksgiving are often different than those we spend Christmas with. Playing a game after our meal ensures we get real quality time with each other (it’s surprisingly invigorating, too—sometimes a little laughter energizes you better than a nap ever could!). If you want to spend more time with your family this year, check out these fun Thanksgiving Day games for after dinner. Because the only thing better than those epic leftovers sandwiches are the Thanksgiving memories that last a lifetime. A wishbone necklace will remind you of Thanksgiving all year long. | Image courtesy Etsy seller VintageBrandingCo. The hunt was on. Somewhere, hidden among our knickknacks or tucked away in a closet, was the key to good luck and a wish come true. 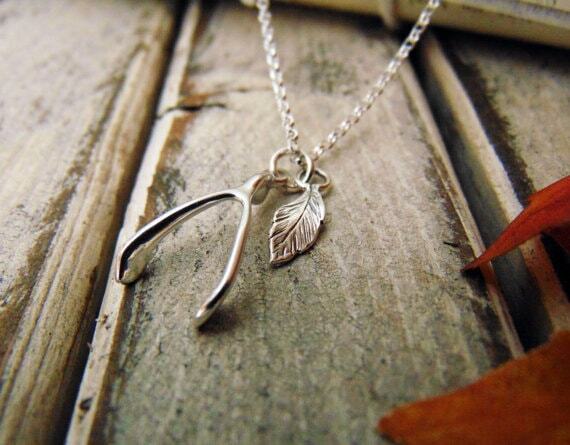 Whoever found the wishbone could choose one person to break it with. The person who got the bigger half made a wish, and they’d both have good luck all year long. Hide the wishbone is a simple game that kids go absolutely nuts over. It’s perfect for adults who want to do something fun with their kids, but who are too tired from putting on a big celebratory dinner to do anything too active. All you’ve got to do is hide the wishbone, then let the kids go! For younger kids, you can make the game easier by confining it to a single room. As they get older, you can hide the wishbone in increasingly difficult-to-find locations. The last time my family played this game, the year before I left for college, my mom snuck out and hid it at the neighbor’s house! At least an hour and several hints later, I finally found it (along with yet another slice of pie, courtesy of our darling old neighbor, Ida). Because it’s so malleable to your specific needs, hide the wishbone is one of the best Thanksgiving Day games for after dinner. Who knew a turkey cutout could be so much fun? | Image courtesy Etsy seller Ettatorials. You can tell where we play pin the feather on the turkey every Thanksgiving—just look for the spackle. When we first started playing, we used pushpins to attach the paper feathers to the cut-out drawing of a turkey on the wall. After a year or two, the wall was a mess. Now, we use painter’s tape instead, a wall-safe alternative that works just as well. But my parents, ever nostalgic, never bothered to paint over the wall. My mom says the tiny dots of spackle remind her of snowflakes. Okay, mom! 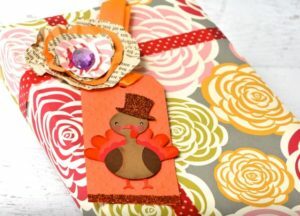 Pin the feather on the turkey, a riff on the ever-popular pin the tail on the donkey, is a fun Thanksgiving day game that keeps the family entertained after dinner. All you need is a paper cutout of a turkey you can attach to the wall, a bunch of paper turkey feathers, painter’s tape, and a blindfold. On their turn, each player is blindfolded, handed a turkey feather with a strip of painter’s tape on it, and spun around three times. Then, they have to stumble across the room and try to pin the feather on the body of the turkey. It’s a surprisingly fun game for family members of all ages. The adults will giggle and “awww” at the blindfolded kids making their way across the room, and it’s hard not to laugh when you see a grownup attempting the same thing. In fact, the kids might have more fun watching their dizzy relatives playing than they do taking their own turns! The winner is the person who gets their feather closest to the body of the turkey. But as ever, the point of this game isn’t winning—it’s having fun with the whole family. Gift exchanges aren’t just for Christmas! | Image courtesy Etsy seller TodoPapel. In my house, we put on Christmas music as soon as the leftovers are put away. Okay, I lied—a lot of the time we end up listening to carols that morning, while we’re cooking and cleaning and putting the finishing touches on our table setting. That’s because we always host a fun gift exchange on Thanksgiving so we can celebrate with family members we won’t see on Christmas. I like to have everyone register with an online gift exchange site a month in advance so we can easily set up a secret Santa (it’s a good opportunity to get your Christmas shopping done early, too). Everyone in the group is randomly assigned someone to buy a gift for, and we all make an online wish list so our secret Santa knows what to get us. This way, I can spend my time focusing on planning our Thanksgiving meal instead of scrambling to organize the gift swap. On Thanksgiving Day, everyone brings their presents. There are many creative gift exchange variations you can play, from White Elephant to a Victorian Cobweb Social, or you can go with a simple swap. We put the presents in the same spot where our Christmas tree will be eventually, letting one of the kids play Santa and hand out the gifts to each recipient. After we open our presents, we watch a movie or help ourselves to more dessert, sparkling cider, or coffee—all that present-opening and pie-eating can make you tired! 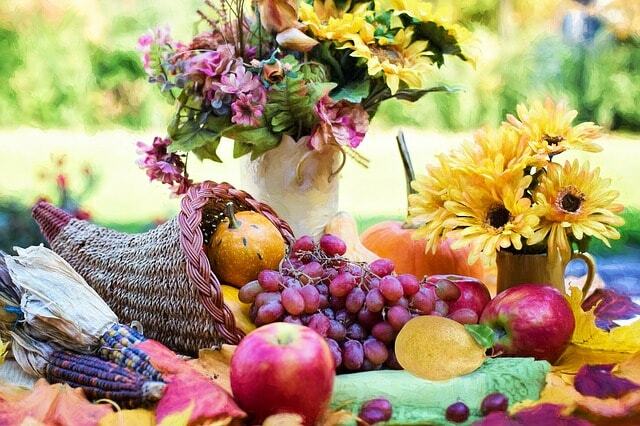 Thanksgiving Day shouldn’t just be about the food. It’s a time when family comes together, and you want to make the most of it. 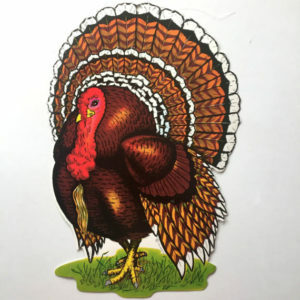 As tempting as it is to sleep off all that turkey tryptophan, instead, try getting your blood pumping again as you dizzily laugh while trying to pin a feather on a turkey. When you decide on some fun Thanksgiving Day games to play after dinner, you’re starting a new tradition. 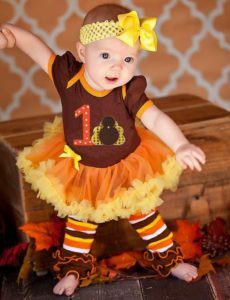 Other holidays get a ton of attention, but Thanksgiving shouldn’t be an afterthought. After all, what’s more important than truly being thankful for those special moments when you get to have the whole family together? Need some ideas for that Thanksgiving Day gift exchange? Take a look at our Elfster Christmas Gift Guides. You can share your present ideas with us on Elfster’s Facebook page, on Instagram @Elfster, and Twitter @Elfster.